A cozy mountain townhouse located in the heart of Sapphire Valley. 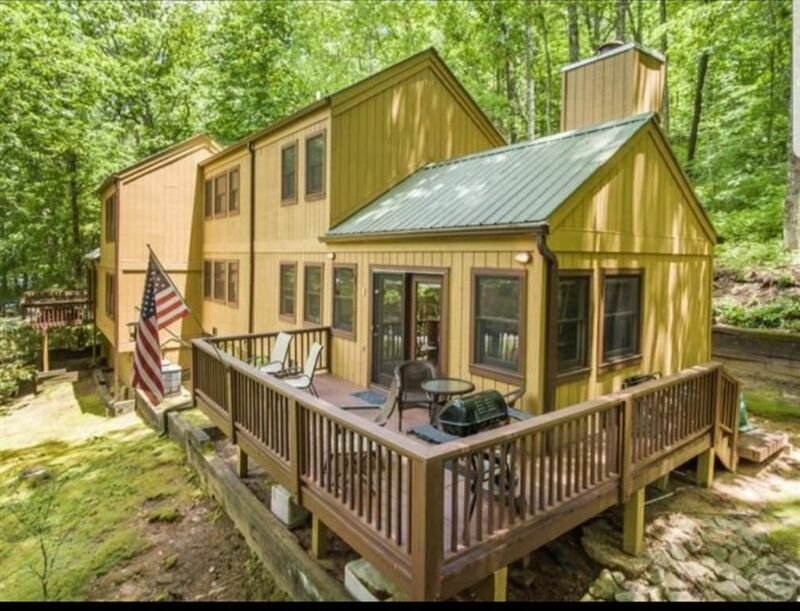 Spacious with 3bed/3bath, perfect for families or groups. Guests will enjoy serenity in this quiet/kid friendly neighborhood. Features include Meadow lake within walking distance and Horsepasture river. Great for fishing and swimming. This is a very nice property that is exceptionally clean. We enjoyed our stay here and will be back again soon. Very nice getaway! Easy access and comfortable stay! Our retreat in the mountains was exactly what I needed. Our host Savannah was wonderful. The condo was very clean . Love that we could visit nc,sc and Tennessee. The trails for hiking are just stunning views and the golf course is beautiful. I will be booking there again with Savannah. I'm going to make this a family get away trip every year. Thanks Savannah! What a clean, wonderful property! Savanah does a great job welcoming her guests, and we will definitely visit again! We had such a wonderful time in the Sapphire Valley and this property was great in every way. It was lovely and very comfortable! We'll stay here again when in the area. Thanks for your hospitality! Thank you so much! It was my pleasure to host your family. Thank you for your review. It was a pleasure.